Public Wi-Fi hotspots are cropping up everywhere, offering exceptional convenience for PC users. Unfortunately, these spots also provide more opportunities for hackers to steal your data or even your identity. These sites have become so prevalent and easy to use that some computer users don’t think twice when logging on. This complacency can be dangerous as most people are hacked when they least expect it and their guard is down. Don’t let it happen to you! It’s no secret that good password protection is critical for ALL web activities. Be sure to create unique passwords for each website and change them frequently. Combine letters, numbers, special characters, etc. when selecting a password. Two-factor authentication can help to protect you even further. Applications that offer this feature usually require either a dongle device or a text message sent to your phone in order to log on. Even if your user name and password are stolen at a Wi-Fi hotspot, the perpetrator won’t be able to log in as you. While it has been popular with banks for years, two-factor authentication is now being offered for other applications such as Google and Dropbox. Make sure that the firewall on your computer is turned on. Also, before you use a Wi-Fi hotspot, turn off the File and Print Sharing feature. This will help to prevent hackers from stealing your files. 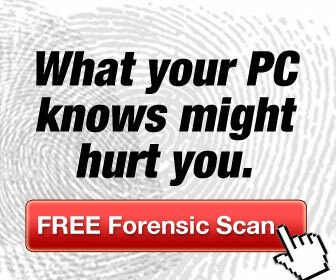 Identify any sensitive data stored on your computer. This may be names, addresses, phone numbers, user codes, passwords, financial information, etc. If you don’t need it, take it off. If you do need it, consider storing it at a secure site in the cloud where it can be accessed from anywhere but is less susceptible to loss, theft or hacking. If you have an old laptop lying around, try using that one when using public hotspots rather than one with sensitive data on the hard drive. Of course, you should always back up your data in case your laptop is lost or stolen at a hotspot. Be sure to install a good virus software package on your computer and make sure that you receive regular updates. Also, it’s a good idea to manually run the scan program after you have connected to public Wi-Fi hotspots. Be careful when connecting to a hotspot. Evil Twins are fake Wi-Fi hotspots designed to trick you into selecting them. Once you are in, all of your internet activity can be monitored and your data can be stolen. Check with the establishment you are using if you are unsure which site is the correct one. It’s best to go to places that require a security code in order to access their hotspot. This is your best defense while using a Wi-Fi hotspot. Among other things, VPNs use encryption to protect you and your data. Even if a hacker manages to access the data, they won’t be able to decipher it. Once logged onto the internet, you can use software installed on your computer to connect to the VPN. If you are using a company computer, there is a good chance that you already have access to a VPN. You can also subscribe to a variety of free and pay services to accomplish this. You can use the Faceless.me VPN service to protect your privacy. In this day and age, it is probably a good service to have even when surfing the net in your own home. Do not perform sensitive activities such as banking while using a Wi-Fi hotspot. Save these activities for when you are logged into a secure network. Also, whenever possible, select sites which begin with “https” in the URL. The “s” indicates that the site is secure. Identity theft is rampant. Following simple, prudent steps like these can help prevent you from becoming a victim at a public Wi-Fi hotspot. Norman Fong is The Chief and Co-Founder of www.buyvia.com, an online, Android and iOS App smart shopping service that uncovers great deals on popular products. BuyVia makes it easy for consumers to get price alerts from both online and local retailers for best cheap laptops and other popular products on sale. I am a guy who love free stuffs and so i love Public Wi-Fi Hotspots 😉 I have never thought of these safety stuffs anytime before and I must start looking into it from now.